Yukon has the equipment and expert service technicians for all of your needs. 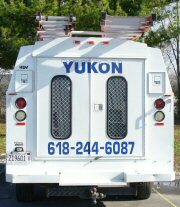 Yukon is a commercial service and Installation company servicing all of Southern Illinois since 1998. We have nine trucks on the road regularly servicing Effingham, Salem, Centralia, Mt. Vernon, Benton, Marion, Carbondale and many other of our fine Southern Illinois Communities. With Yukon you always get prompt, friendly and expert service. Let Yukon help you with all of your commercial equipment needs. As well as refrigeration equipment, we service and install Commercial HVAC, Commercial Kitchen Equipment, Ice Machines, Exhaust Hoods and Beverage Machines. 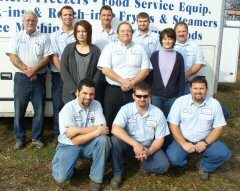 Yukon offers restaurant equipment sales and service to all of Southern Illinois including Mt. Vernon, Centralia, Salem, Effingham, Benton, West Frankfort, Marion, Carbondale and many other communities in Southern Illinois. Commercial Refrigeration: Coolers, Freezers; Commercial Kitchen Equipment: Grills, Dishwashers, Fryers, Kettles, Steamers, Thermalizer, Range, Convection Ovens; Beverage Machines; Commercial HVAC; Ice Machines and Ice Makers; Exhaust Hoods. You can rely on Yukon for prompt, quality service: repair, installation, maintenance.